The soulful and bluesy “Gypsy King” from Bon Lozaga’s latest release manages to capture the essence of Band of Gypsies era Hendrix and fuse it the technical mastery of vintage Harvey Mandel, all the while managing to capture what is uniquely Lozaga's own signature on this powerful opening tune, replete with some mysterious spoken parts that periodically appear and disappear; a nice touch indeed. Lozaga has surrounded himself with some great players to help make his ideas come to life, including drummers Mitch Hull and Dionte Futrell, bassists Kai Eckhart, Tee Goodwyn, and Ryan Martinie, the latter who shares writing credits with Lozaga on a couple of these eight instrumental tunes. Kofi Burbridge adds some sweet bluesy organ to “Lo Down,” as well as flute on the opener. More than anything, this collection of instrumental tunes is rife with feeling and emotion, all the while capturing Lozaga’s intelligently applied technical wizardry within his expressive guitar prowess. No need for lyrics here, the guitar alone says it all. “Traces of My Time Here” dwells in Bon’s jazzier element with some clever looping using acoustic, backed by some beautiful fretless bass work. With “Shoulars Bend,” co-written with bassist Martinie, Lozaga gives the listener an aggressive rocker that brings in some funky weirdness and jazz elements to spice up the proceedings. A sassy and smart cover of Mahavishnu’s “Can’t Stand the Funk” rolls out some of the album’s most impressive guitar soloing. 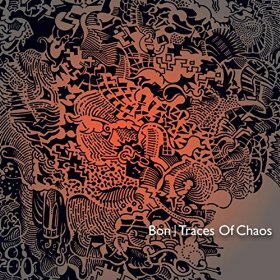 All taken together, Traces of Chaos presents an outstanding collection of tasty guitar-based instrumentals full of invention, spirit, and joy.